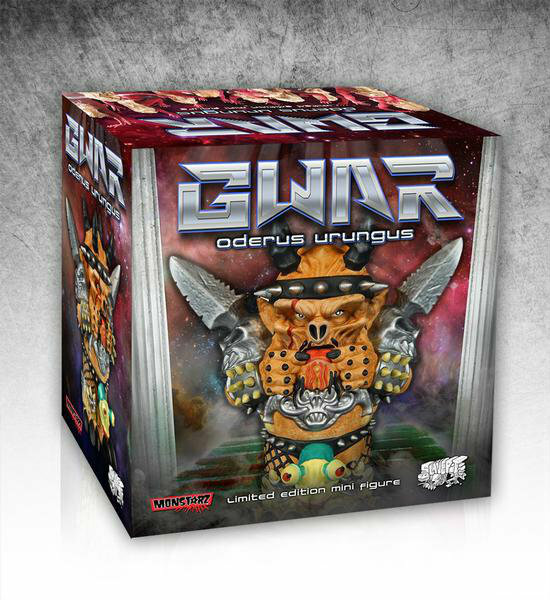 Aggronautix has launched a pre-order for mini figure of GWAR's late frontman Oderus Urungus by Monstarz, shipping in late October. 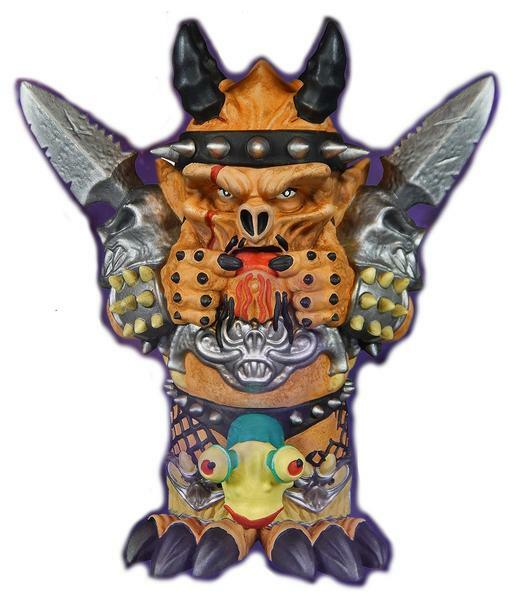 One lucky customer will win a sold-out GWAR Throbblehead set from 2014. This brand new limited edition hand-painted resin figure by Monstarz is 4.5" tall and comes in a full-color box. Dave Brockie, who fronted GWAR under the name Oderus Urungus, was found dead in his home in Richmond, Virginia on March 23, 2014. According to Virginia's State Medical Examiner's Office, he died from acute heroin toxicity by accidental means. Brockie was last remaining original member of GWAR, which was founded more than thirty years ago. He was fifty years old. The satirical metal band earned a following for its macabre, over-the-top costumes, offensive lyrics and graphic, gore-soaked shows, in which the bandmembers performed as the descendants of alien warriors who arrived on Earth to enslave and slaughter the human race. GWAR's new album, "The Blood Of Gods", will be released on October 20 via Metal Blade.